Celtic design Galley brooch. The celtic galley's were used in medieval times as the main transport. 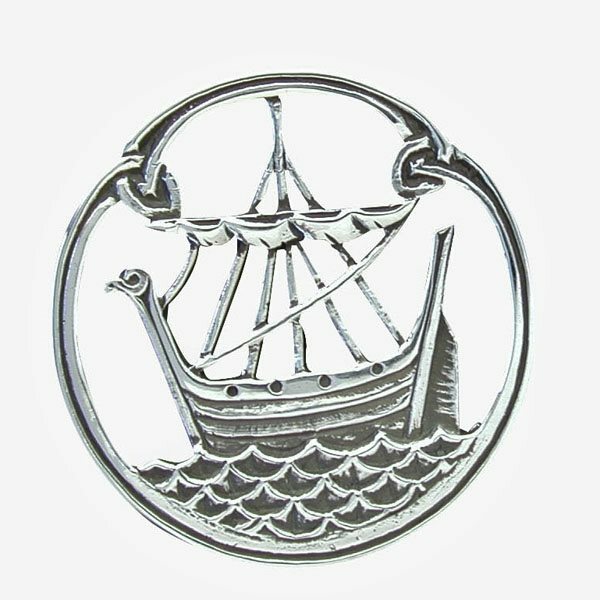 We have named the brooch after Dumbarton the "Fort of the Brittons" famous for its ship building in more modern times.